Is Wheat Good for You? Wheat gluten is a favorite food for yeasts and parasites and is mucous-producing. Most people believe that wheat is a nutritious grain and they therefore consume a large amount of wheat products on a daily basis. When you go to a restaurant, the first food item presented to you is usually wheat rolls or crackers. When you go to work or school, you eat wheat bread sandwiches. When you feel like having some carbohydrates, you eat pasta, spaghetti or macaroni. Many of your breakfast cereals also contain wheat. Your favorite pancakes are most likely made of wheat. Wheat is everywhere and it seems to be difficult to avoid. As a result of consuming a large quantity of wheat, many people suffer from sinus congestion, headaches, asthma, and mucus in the respiratory tract. As explained previously, when yeasts and parasites are well-fed with their favorite foods such as wheat, they multiply quickly. In addition to sucking your nutrition through their strong, vampire-like hooks, they also deposit toxins after a hearty feast. The toxins they release can cause all kinds of allergy symptoms. How to Have a Happy Thanksgiving! One of the most common “misconducts” during the Thanksgiving holiday is overeating. Abundance of food is very tempting. Just remember the discomfort of overstuffing your stomach and go for moderation. You can taste the food, instead of devouring a large amount of it. Otherwise, when your stomach is full, you become sleepy and cannot enjoy the true spirit of Thanksgiving with your friends or relatives. Do your best to stick to the yeast-free nutritional program containing no sugar, no dairy, no wheat, no yeast, no alcohol, no caffeine, no nicotine, nor chemicals. I know you would be considered a “saint” if you could do this on the Thanksgiving holiday. However, for your health and comfort, it’s worth making the effort. To learn what to eat and what to avoid, follow my yeast-free cookbook, Healthy and Tasty: Dr. J’s Anti-Yeast Cooking. Many people use the holiday as an excuse to interrupt their health routine especially regular exercise, meditation, etc. The end result is that you may experience imbalance in your body, mind, and spirit. Once the imbalance occurs, it may take a while to regain the balance. If you could maintain your healthy life style routine, chances are you will have stronger immunity to protect yourself from seasonal flu and colds. Holiday activities can put more strain on your body. My clients have reported that increasing the dosage of Yeast-Para Control and Cleansing-Balance Tea is very helpful in maintaining their immunity against the holiday stress. Female Vitality or Male Vitality, and Herbal Cocktail are additional boosts for calm energy, mental clarity, and improvement of digestive function. Thanksgiving holiday is not all that rosy for everyone. If you have “unfinished business” with your family members, getting together on the Thanksgiving holiday can be an awkward time. Why not use Thanksgiving Day as a special day to forgive and extend your genuine love? There is always a silver lining in every life event. There is always something to be thankful for with any one you encounter. Give thanks to your “teachers”, both positive and negative. If you could follow the above principles, you will enjoy a true Thanksgiving holiday! 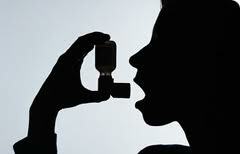 Asthma for 20 years …. No more need for an inhaler! Take your first step toward healthy eating, no matter how hard it is. Each following step will become easier and easier! To have an easy start, follow the yeast-free recipes in Dr. J’s cookbook: Healthy & Tasty: Dr. J’s Anti-Yeast Cooking. Many of Dr. J’s clients reported that their taste buds changed quickly, they lost weight, and best of all, they saved on their grocery bills from 30% to 50%. Even bachelors who seldom cook before have found it easy to follow the recipes in the book. For those who already have the yeast-free cookbook, let us know how it goes. For consultation on yeast-free nutrition, herbal detox, hormonal imbalance, stress management, effective weight control, and spiritual counseling, please call us at (800) 715-3053, or send an e-mail to drj@drjsbest.com for an appointment. Consultation over Skype or telephone are also available.